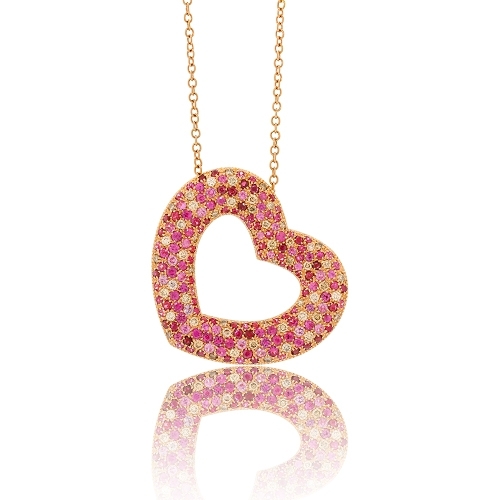 A stunning color combination of rubies, pink sapphires, and brilliant diamonds make up this open heart pendant of 18k rose gold. Diamonds approx. 1.14ct. Chain 20"